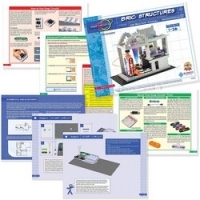 SNAP CIRCUITS, LEARN BY DOING and ELECTRONICS EXPLORATION KIT are registered trademarks of Elenco Electronics, Inc.
Bric structures combines Snap Circuits and compatible brics. 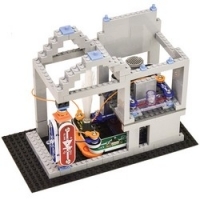 You can energize your brick building experience with Snap Circuits and build innovative structures! 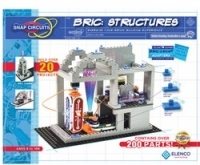 with patent-pending, bric-2-snap technology, kids can wire up their brick builds with Snap Circuits lights, sounds, moving parts, and 3-D circuits to invent almost anything and make it go! 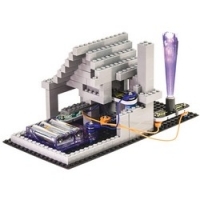 - kids love to create and invent from what they have at home. 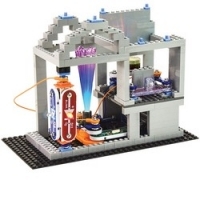 Instead of just building a structure, now kids can learn how to build the circuit that makes the lights on a skyscraper illuminate or that makes the gears on a drawbridge move! elenco’s team of engineers has come up with a great way for kids to learn by doing and be creative with their everyday, building bricks. 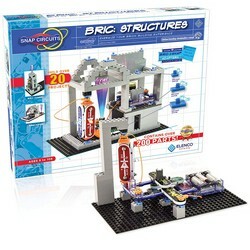 There's no limit to what kids can create with Snap Circuits BRIC: structures! - award-winning Snap Circuits products teach kids to have fun learning electricity, engineering, circuitry and more. 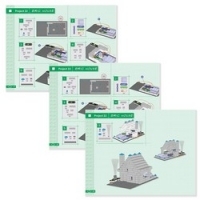 Snap Circuits features building components with snaps to assemble electronic circuits that function like the printed circuit board found in most electronic products. 20 Snap Circuits component parts 75 bric-2-snap adapters over 140 fully compatible building bricks full-color, easy-to-read project manual appropriate for budding engineers ages 8+.